Travelling around the world means having to be ready for anything. Unfortunately, you can't exactly carry your entire house with you, especially if you're carrying a single backpack. Of the many things that may or may not happen during a trip, the one element that can make or break your adventure is the weather. We're not always lucky to have clear skies and sunny days, and your best bet will be a lightweight and packable rain jacket you can pull out any time. And if you don't need it, you can keep it stowed away in your bag and forget about it. There are many kinds of rain jackets out there, but some are a few notches above the rest. These won't save you in torrential rain, but they will give you enough protection from light drizzles to moderate rain. Either way, you'll be thankful you thought of packing one of these babies in your bag. 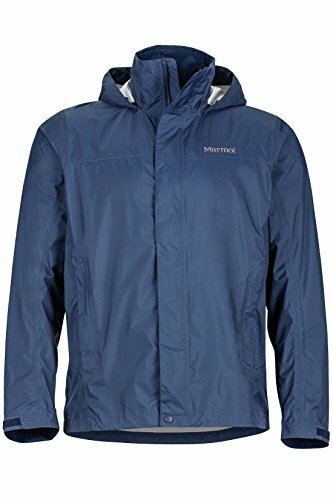 Which Packable and Lightweight Rain Jacket Is The Best For Me? Rain jackets come in all shapes, sizes, materials, and build. Casual users will require less functions than serious hikers. Determine what you'll use the rain jacket for, how often, and under what conditions. This will greatly affect the materials you need and the price you pay for. Just because it's a rain jacket doesn't mean it will always keep you completely dry. Know the difference between water-repellent and waterproof. Most rain jackets, especially the ones on the cheaper range, will eventually soak through if exposed for long periods of time in pouring rain. While you won't always end up wet, a soaked rain jacket will leave you cold and clammy. The biggest flaw of any rain jacket is breathability. Most rain jackets have no venting options to keep the integrity of its waterproofing or water-repellent function. This means that if you're hiking or doing any serious activity with the jacket on, you'll eventually create heat inside the jacket and the jacket will trap that heat inside. Check for inner lining materials that keeps you cool. The point of carrying a lightweight and packable rain jacket is to have it with you at all times in case of emergencies. This means it should be light enough for you to forget about it and packable enough for you to stuff it in any bag. If the rain jacket doesn't come with its own stuff sack or can't be packed in its stuff pocket, something that's light can still be rolled compactly and tucked into its own hood. When we talk about lightweight, there's no other company that does it better than Outdoor Research. The Helium II is ultralight, packable, and sports a minimalist design in bright and neutral colors. Thanks to its Pertex waterproof build, the Helium II does an excellent job protecting wearers against rain and width. It only weighs 6.4 ounces, but the material is quite sturdy and almost impenetrable. It's been a top pick for hikers, bikers, and travellers. It doesn't boast much in terms of features. There is one Napoleon chest pocket, a water resistant main zipper, and a single pull hood adjustment. It stuffs easily into an inner pocket and it turns out so compact and weightless that there's no real reason for you to leave it behind. Because of the lack of functionality, it's not the best jacket to wear around the urban jungle. No hand pockets, nowhere to store your phone, and nothing to keep things from getting stolen. It's a very basic jacket almost to a fault, but its real performance comes out when you get it outdoors. While it's great for waterproofing, the material can get very clammy. Its 2.5-layer design is not very breathable and there are absolutely no venting options. It's a great option for surprise rain, but wearing it for long periods of time will leave you sweaty and uncomfortable. While it has significant design flaws, the price range is very attractive. It's not the cheapest but also definitely not the most expensive. If price is no option, there are better garments on this list that can do a better job. However, value for money gives the Helium II a big boost in terms of favorites. 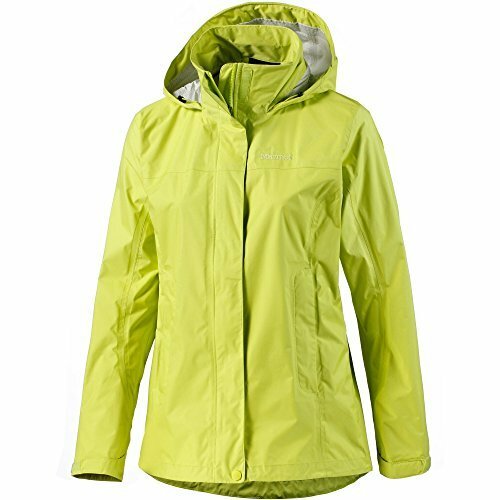 Patagonia is another great brand for outdoor gear, and the Torrentshell is a great rainjacket. Much thought was put into achieving the perfect fit, not just for style but also for better protection against the elements. It has a sleek flap to cover the waterproof zipper and adjustable hems to hug your hip. 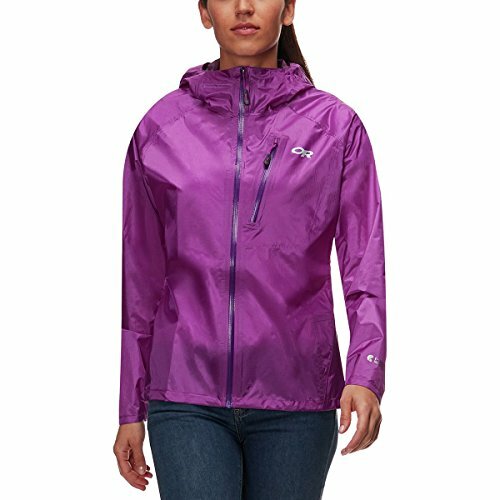 Unlike many rainjackets, the Patagonia Torrentshell is sleek and stylish enough for everyday and urban wear. It has a more luxurious feel to it as well. The fabric is soft to the touch and not plasticky like many rainjackets. At 12.1 ounces, it's not featherlight, but still light enough for you to easily carry it around everywhere. This heftier build also comes in handy when the weather turns particularly sour. And when the drizzle does turn into heavy rain, the excellent hood design keeps your face well protected. There's a single cinch at the back to adjust the sides and back of the head. It also has a small bill to extend protection over the face. It also packs compactly into one of the hand pockets. The athletic style of the jacket makes for a great silhouette, but the shorter back of the hem doesn't do well for rain protection. As with any kind of garment, the back side usually rides higher than the front, and a longer back hem would have been better for keeping rain from hitting the backside. Overall, however, it's a great option for everyday and emergency wear. It retains its slimmer style even when layered over a shirt or under a heftier jacket. Its versatile use is a great option for travel and outdoor adventures. Another great alternative for a packable rain jacket is the Marmot Precip. It's not as popular as the Patagonia Torrentshell, but it's quickly gaining cult level popularity due to great performance for a lower price tag. The Precip offers reliable protection against water, wind, and even some light snow thanks to its DWR coating and NanoPro Nylon Ripstop material. The collar is a good touch to keep your neck covered and keep rain from entering from the top. Together with the hood, the whole head is pretty well covered. The hood is also removable making it a great option for everyday and urban wear. The cuffs are sealed with velcro, and the hem is adjustable and keeps water and cold out pretty well. The front zipper is not waterproof, but it is covered with a flap and also secured with velcro to keep it from flying up. It also has an additional storm flap underneath the zipper to keep the water out. While it's great for moderate rain, the Precip is not meant to be worn under torrential and extended rain. The water doesn't leak through the jacket, but it does soak through the upper layer and you'll feel the cold on your skin. If you're a serious hiker and traveller and you're on the lookout for the best gear in the market, then the Arc'teryx Zeta LT delivers the highest performance in this list. It also goes without saying that it costs the most as well by almost double the price. However, if price is no problem, then you're getting yourself one of the most reliable and packable rain jackets out there. Arc'teryx creates heavy duty outdoor gear, and this rain jacket is no exception. It has hand pockets that go above a hipbelt, a stormhood that adjusts in different ways to mold to your head, and an outershell that performs like a hard shell in a very lightweight package. Despite the tough build, it's still lighter than the Patagonia Torrentshell at 11.85 ounces. 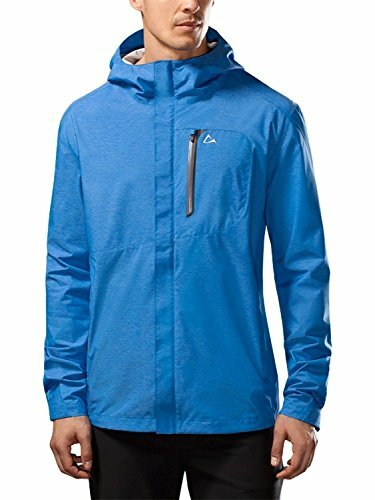 It performs better than any jacket in the list, and is one great investment instead of getting poorer built and tear prone lightweight jackets. It also does not skimp on comfort. While most rain jackets tend to be clammy and less breathable to keep the waterproofing intact, the Zeta LT has a Gore-Tex C-Knit interior. It's soft against the skin while still moisture wicking and odor repellent. Unlike most rain jackets that use a 2-layer build, the Zeta LT has a 3-Layer construction. The Gore-Tex waterproof membrane is sandwiched between the outer shell and inner liner. Even in the heaviest rain, you won't feel clammy and the jacket won't feel slippery against your skin. Despite the thicker build, Arc'teryx was able to keep this jacket light and breathable. Thanks to the C-knit inner layer, the wearer is kept cool even when you're working really hard. It also has a snugger fit than most rain jacket, which keeps less hot air to build up inside. In terms of packability, it doesn't have its own stuff sack or pocket. However, it's thin and manageable enough to roll and store into the hood. Sometimes, all you need is a product that works. For those who are not keen on dropping a wad of cash for a rainjacket, the Paradox Waterproof Rain Jacket fits the bill. Priced under $50, this is anyone's go-to rainjacket for casual travel. Of course, you sacrifice some comfort and performance with a lower price tag, but it does a good job of protecting you from that sudden rain fall on an otherwise sunny day. Made of a polyester and nylon blend, you can even toss this in a washing machine on a cold setting. As with many rain jackets, it's built with a 2.5-layer breathability level with a thin inner lining. Without ventilation, this tends to get very clammy and you get very sweaty when working hard under the rain. The outershell is treated with a water repellent finish, which tends to wear out after years of use. Rain also soaks through to the middle layer after around an hour of continuous exposure, which will then get you feeling cold. Luckily, it doesn't soak through entirely. While the silhouette and design are sleek and stylish, the material itself has a plastic feel. The hood also goes on the large side and has limited adjustment options. It also doesn't come with its own stuff sack, but you can easily stow it in the hood and stuff it in your bag. Nevertheless, at its price, you can't get any better than this. Rain jackets have one purpose - protect you from the rain. The difference is how well they do it. 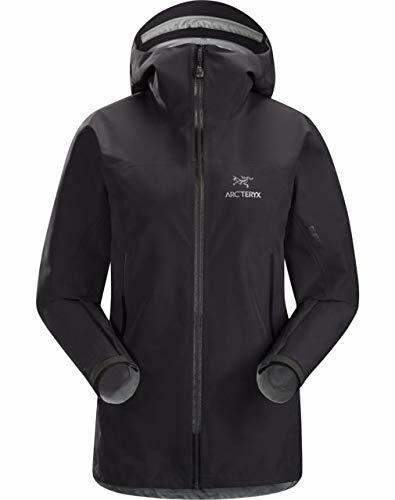 Hands down, the best jacket in the list is the Arc'teryx Zeta LT. With its hardshell performance in a lightweight and packable jacket, the Zeta LT outperforms any rain jacket by far. It can be used for daily wear, emergencies, and tougher outdoor activities without getting you clammy, uncomfortable, or soaked through. 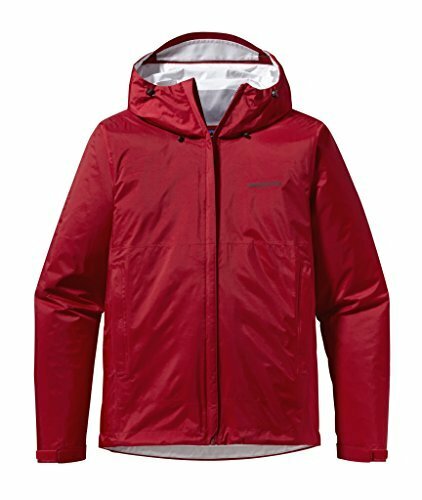 ZETA LT JACKET - The Zeta LT delivers weather protection during extended trekking and backpacking trips. Lightweight, comfortable and compressible, it is made from N40p-X 3L GORE-TEX fabric with GORE C-KNIT backer technology. This material delivers longwearing waterproof, windproof, highly breathable performance with a backer technology that makes the fabric exceptionally supple, quiet and comfortable next to the skin. TRIM FIT - The Arc'teryx Trim fit keeps the shell close to the body to improve the fabric breathability, but leaves room for light layers. Articulation in the sleeves and gusseted underarms provide freedom of movement. The jacket works in tandem with the Zeta LT pant for complete weather protection. TECHNICALLY COMFORTABLE - The patent-pending 3-layer GORE-TEX fabric with GORE C-KNIT backer technology provides protection with exceptional comfort. The proven bi-component GORE-TEX membrane system is bonded to a dense, extremely thin circular knit to form a supple, less bulky, durable laminate that is more breathable and lighter weight than previous constructions. The circular knit's soft, smooth texture is comfortable, quiet, and helps the Zeta easily slide on and off over other layers. FUNCTIONAL SIMPLICITY - The Zeta LT is made for extended journeys, and at 335 grams (11.8 ounces), it travels light. This required discipline in the design, so features focus on protection without adding extraneous weight and bulk. 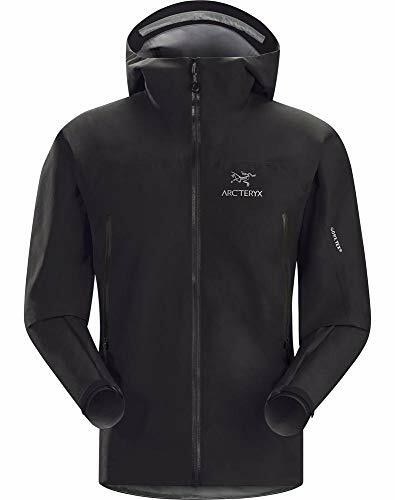 The low profile Arc'teryx StormHood delivers full protection and cinches securely with a single adjuster for a fit that moves with the head and provides exceptional peripheral vision. ADDITIONAL FEATURES - The hip length with drop back hem extends coverage and rides comfortably under a hipbelt. An internal laminated pocket stows and protects a smartphone or wallet, and two hand pockets with WaterTight zippers are accessible while wearing a pack or harness. For a use anywhere kind of rain jacket, the Marmot PreCip Jacket is your best choice. Stylish with a removable hood for urban wear, it can stand up to the elements for outdoor adventures at well. 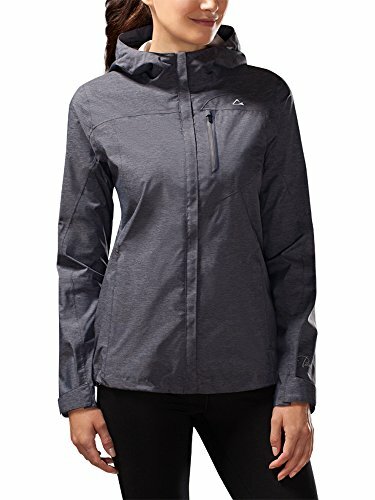 At a mid-range price, this jacket performs pretty well for any kind of weather. If you want it cheap but still functional, there's no other jacket that can do the job than the Paradox Waterproof Rain Jacket. It may not be as comfortable as the more expensive options, but it still does a great job as a rain jacket for light rain or emergencies.